Custom Homes, Spec Homes, Single-Family Homes, Townhomes, Condominiums, Fond du Lac, Oshkosh, Dodge County, Wisconsin - Karst Builders, Inc.
Karst Builders has been building custom homes since 1964 and realizes that no single person is the same. With this is mind, we decided that the only way to build a perfect home is to work side by side with all of our customers to provide to them exactly what they are looking for. We have built homes for people and as their needs change we are asked by them to build them another home. This is our goal for each and every one of our customers. We strive to make every customer happy enough with their home that they tell 10 other people to build with us. Because we build custom homes, we do not depend on outside business to draw up our homes, so Carl "Jack" Karst sits down with each customer and draws the home of their dreams with them by hand. Because we work side by side with our customers, it eliminates confusion and ensures that the the customer gets exactly what they are looking for. 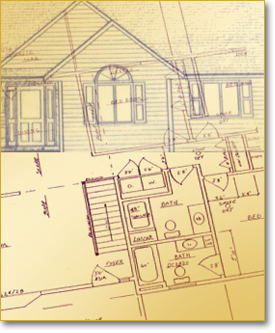 Karst Builders also offers endless possibilities on customizing your custom home to your needs, so we keep over 200 house plans, drawn by Jack, for you to choose from. This ensures that you can pick and choose the features you would like to incorporate into your custom home. Quality materials are one of our biggest assets. We are not be the cheapest builder in Wisconsin, but we absolutely guarantee the highest quilty materials, our workmanship for a lifetime, and your complete satisfaction. To do this, we only rely on the best materials available to us. We also have the most experienced crew members in the area, and Jason Karst goes to every job site (big or small) to ensure all work is done to everyones satisfaction.